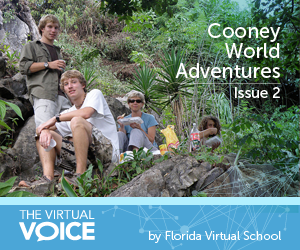 This is the second post in a series by the Cooney family about their world travels, made possible by the flexible learning offered at FLVS. When Mike and I decided to take off for a year to travel the world with our three teenage sons, the decision was the easy part. Walking away from the life we currently knew was the difficult part. After we made the decision in 2005, we went into planning mode. We all had our respective roles. In between running an online business, homeschooling our three sons through Florida Virtual School, and carting them to various activities, I spent copious hours researching travel websites and books, creating a budget, and finding places where we could immerse ourselves in the culture. What we all discovered is that planning is definitely necessary, however, it is also equally important to have a plan B, C, or D. An even better option is to learn to go with the flow! The number one question I am asked is about the boys’ schooling. FLVS played a major role in making our dream a reality. 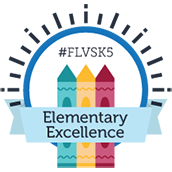 We began homeschooling the boys through FLVS in 2005 while Harrison was in middle school and when our twins were entering high school. 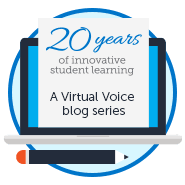 Using FLVS as our main educational platform allowed all of them to work ahead. Morgan and Zach were able to finish high school in only three years and Harrison was able to work ahead by a year. Even while traveling, he decided to take a few extra online classes. It started out fine, as we were always able to find an Internet connection. However, we quickly discovered the Internet was not always reliable in other countries. In fact, I remember a situation when Harrison was a taking a big Spanish exam while we were in the jungle of Costa Rica. He was sitting outside, which is where he found the strongest wifi signal. There were monkeys swinging above his head as he was taking the exam. A little over an hour into the exam, he hit the submit button and lost his Internet connection. He was not a happy camper, but he went with the flow and contacted his teacher who reset the exam. After several similar instances, we decided to hold off on taking any additional online classes due to unreliable Internet. Another time when going with the flow was vital was on one of our numerous bus rides. Although we had major destinations we planned to visit, getting from point A to point B was largely a throw of the dice. Basically, we had to let the road take us where it wanted to lead us. We learned early on to get comfortable with going with the flow! For instance, a bus ride from Nicaragua into Northern Costa Rica that was only supposed to take two hours ended up being nearly eight since we missed our stop. Not only did we end up in a different location than we originally thought, we also had planned to be at our next destination by lunch. Times like these reminded us of the fact that we should be prepared. We always carried a large day bag filled with fresh fruits, bars, nuts, seeds, and water so everyone would survive till their next meal. From a mom’s perspective, I’m often asked what I think was our biggest take-away from such a grand endeavor. My husband, Mike, always says that it was giving our three sons a hands-on, real world global education. While I agree, I believe we also learned so much more. We discovered how happy we can be without lots of stuff – and most importantly, we learned how to step way out of our comfort zones, because that is where life and the adventure truly begins. This post was written by Catrell Cooney, the second in a year-long series by the Cooney family. Her husband Mike recently published a book about their family’s travels around the world. Cooney World Adventures: Backpacking with Teens Through Latin America details the first leg of their trek with stories of their adventures (and misadventures) while traveling through Central and South America almost entirely by bus. Visit www.cooneyworldadventures.com for more information about the book and their adventures or email mike@cooneyworldadventures.com. This entry was posted in Homeschool Edition, Parent Edition, Student Edition and tagged Cooney World Adventures, Cooneys, Culture, Flexibility, Global Citizenship, Goals, National Travel & Tourism Week, Online Learning, Sociology, South America, Student Accomplishments, Student Achievement, Student Achievements, Student Planning, Student Success, Tips for Parents, Tips for Students, Travel, World Languages on June 5, 2015 by Guest Blogger.